2 Nights' Lodging in your choice of over 39 hotels. At Dolly Parton's Stampede Dinner and Show, you will enjoy a delicious four-course meal of a whole rotisserie chicken, vegetable soup, herb-basted potato, biscuit, unlimited Pepsi, tea or coffee and a specialty dessert as you enjoy an exciting show! You will get to take part in the friendly competition between the two sides of the theater as a talented cast of performers and horses put on an unforgettable show that includes barrel racing, carriage races and even a wild herd of buffalo! With two nights of lodging included, the Branson Dolly Parton's Stampede Getaway is not only full of fun and excitement, but it is also very convenient. 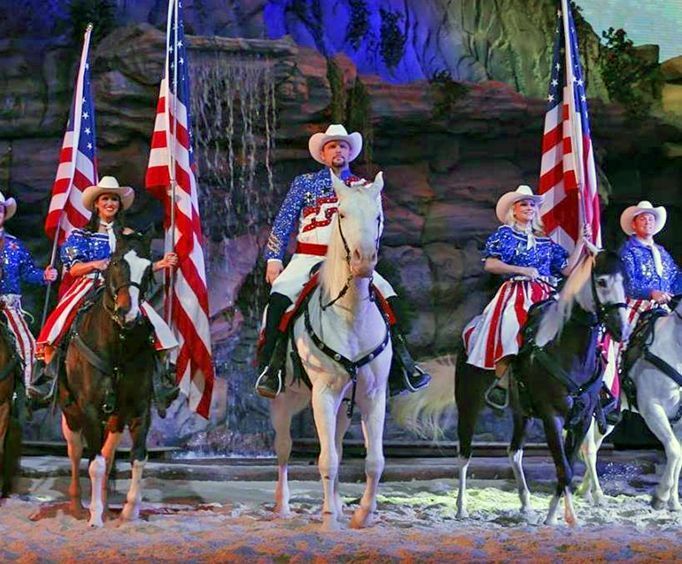 For a fun-filled stay in Branson, book the Branson Dolly Parton's Stampede Getaway today!